My husband took this picture last year while I was driving on our way from Virginia Beach, VA to visit a friend in Norfolk, VA. We both thought it looked pretty cool. Several things came to mind when we saw how cool it turned out. We started making up stories with the kids about what this could be (if we didn’t know it was a tunnel under the water). What about you? Tell me a story about what you think this is. Where are we going? 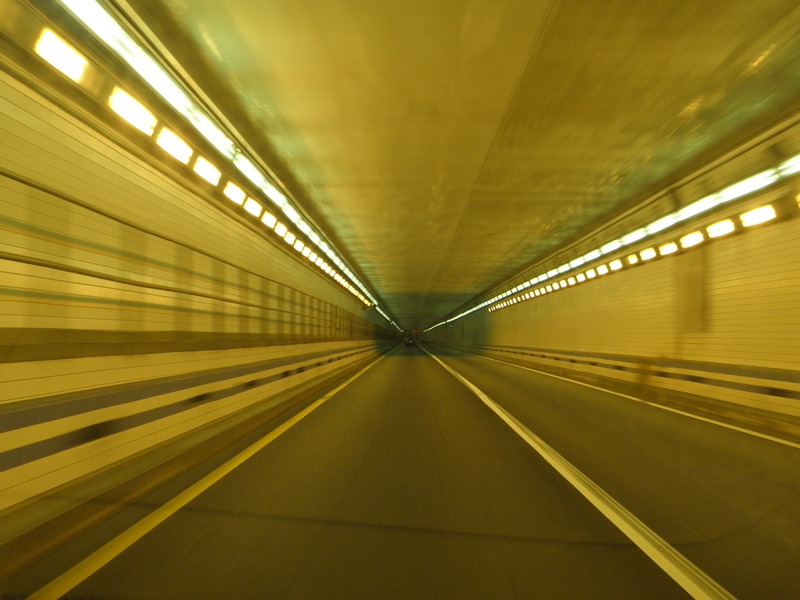 Is this a tunnel towards Norfolk or is this a jump to lightspeed? What awaits us on the other side? You know the rules. Now, tell me a story!